Residential apartment rents are three per cent down in the first quarter 2016 compared to first quarter of 2015, according to real estate portal Bayut. But a comparison done on a quarter-on-quarter basis by the portal reveals a different picture, showing average rentals had increased three per cent with apartment rental yields remaining at 6 per cent. Studio apartment rents adjusted five per cent with average annual rents being Dh60,000. One- and two-bed apartments both adjusted 4 per cent with average rents being Dh98,000 and Dh154,000 per annum (pa), respectively. The 3- and 4-bed categories corrected by 4 per cent and 3 per cent, respectively, fetching Dh210,000 and Dh321,000 pa. Almost 4,600 residential units were reported to be completed in the first quarter of 2016 and 10 per cent of them came from projects delayed in 2015. Majority of these were located in Jumeirah Village Circle, Mohammed bin Rashid City and Dubailand. The top five localities for renting apartments during the period were Dubai Marina, Jumeirah Lake Towers, Bur Dubai, Downtown Dubai and Business Bay. 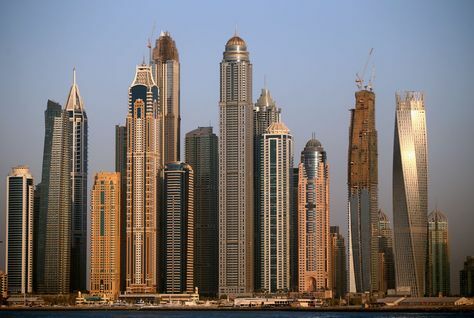 The report said Dubai’s real estate market sailed stably through the first quarter. “Not only did we see real estate developers carefully considering demand before supplying market with new units, we also saw an even distribution and movement of residents from the city centre to suburbs,” it added. Property consultancy JLL reported nearly 2,200 units were added to the Dubai residential market in the first quarter 2016 alone with rents dipping during the period compared to fourth quarter 2015. The first quarter 2016 report revealed that rents for apartments were down by three per cent quarter-on-quarter for apartments and one per cent for villas. On the year-on-year (y-o-y) basis, the decline has been five per cent for both the categories. On the price front, it said the residential market was approaching the ‘bottom of its cycle,’ stating prices were down 10 per cent year-on-year.